(Newser) – Big news for Bob Dylan fans: A massive "secret" archive of his work—old notebooks with lyrics, letters, photos, tape reels, recordings, etc—has been sold for about $20 million and will eventually be made available to music scholars and less formal "Dylanologists," reports the New York Times. The newspaper got an advance look at the 6,000 pieces of material, acquired by the George Kaiser Family Foundation and the University of Tulsa. It will be cataloged over the next two years, then housed at the Gilcrease Museum in Tulsa and perhaps in a new Dylan gallery in the same city. One highlight of the collection: two previously unknown notebooks devoted to his iconic Blood on the Tracks album, showing how Dylan labored over the lyrics. 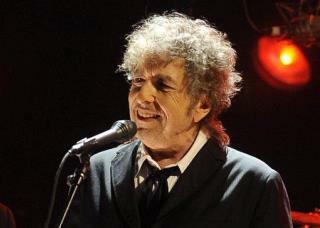 For example, "Tangled Up in Blue" once had the refrain, "Wish I could lose, these dusty sweatbox blues." Wow. How prolific is this guy! We'd have been just as well off if this archive had stayed "secret." Oh please, if it was worthwhile it would not be unknown.